Why do somethings catch on, while others don’t? Why are some stories and songs more popular than others? Why is rumor and negativity more contagious than facts and positivity? Jonah’s book, Contagious, highlights some of such viral content, and factors that help make an idea big / sell-able and infectious. The six principles of contagiousness shared by Jonah focus on the simplicity, effectiveness and credibility of ideas that make it viral. Social Currency (social relevancy, resonance), Triggers (stimuli that prompt people to think about related things), Emotion (evoking connect in terms of emotion), Public (creating behavioral residue that sticks and is visible), Practical Value (monetary value and otherwise) – all wrapped in to Stories (creatively shared for the viral effect). Smartly, the six principles form the acronym – STEPPS, and showcase “the underlying psychological and sociological processes behind the science of social transmission”. Diving into each of the principles, as separate chapters, Jonah takes you on a splendid journey of different brands that made it big, solely on “personal recommendation”. Remember: people share things that make them look good to others. Rich with stories as examples, the book is a good read for anyone and everyone, who aims to be viral in this digital age. As long as the content is useful, worthy, and smartly put using one or more STEPPS, you can harness social influence and be contagious! This fast paced, yet gentle read, treads carefully the life and prosecution of Madhav Tripathi – an officer in the ministry. And its not just him. Others around him too become a victim. Madhav is abducted, he manages to flee, and gets back to his girlfriend. There on anyone and everyone become their suspects. With the turn of events, you see Madhav facing prosecution at all levels – physical, emotional and psychological. People, things and events from his past surface creating a matrix with his present only to ruin it for his future. There’s an uprising, of feelings, emotions (guilt), and people. There’s democracy covered by the garb of hypocrisy. A latent desire to know more than one must. And an active roar to reach the top. The perfect tiff between the past and the future. 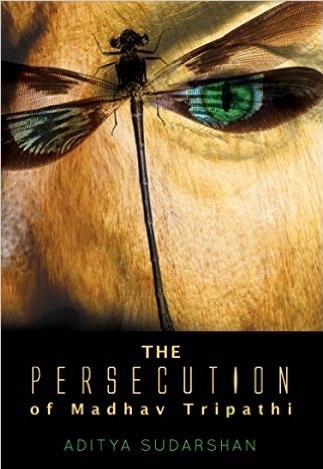 The author takes you on an enthralling adventure unveiling the truth of our society. I’d say treat it like a work of fiction which it is. But when you read it, it feels more real than truth itself. Aditya’s style of writing has evolved and he can sure keep his readers captive, slowly. There’s violence, humor, wit, and more importantly a mesmerizing mystery to solve. It took me a while to pick up the book, but I’m glad I did. The thriller is quite a work of art. A good effort. There was a blog by Rosemarie Urquico on “Date a girl who reads” that created ripples. That was a response to Charles Warnke’s “You should date an illiterate girl”. Since I was almost facing a “writer’s block” and couldn’t think of a blog idea, I thought, why not jot points for people who wish to date. So we can take a look at pros and cons of dating people who are well read, vs. others who disregard books. • A person who loves to read and write would know just too well when you are lying. • They would be your grammar police when you least expect them to be. • They would be more crazier than you –speaking like Shakespeare, imagining likeRowling, reciting like Keats, talking about Gainman and what have you! • They will be master storytellers telling you off. They would have their expectations running high –thanks to all romantic/mystery novels they would’ve gulped by now. • They would be gaining more limelight, than you, amongst your peers. And sometimes more weight, sitting around with books as their sole companions. • They might, sometimes, be too engrossed in a book to pay attention to you. And sometimes they might end up paying more attention to details than expected. • They might lose their cool and snap at you, just because the protagonist behaved like an ……..
One of the most important of all factors. (Yes, let’s be practical.) Dating a person who reads implies an inexpensive affair. Books nowadays do cost a lot. Unless they are from some of the Indian publishers who save on the paper quality and offer books for like a mere Rs. 100! Dating a person who does not read implies there is greater cost involved. Imagine the kind of shopping some people indulge in – guys and their electronic gadgets; and girls with their (bare) clothing. Oh this is much more expensive!!! Hands down I think a well read person can engage you in intellectual conversation, over a person who absolutely scorns books and newspapers. A well read person adds value to your knowledge bank. He/she can help you spin fantastic stories, and dwell in a world of goblins and fairies when you need some cheering. A person who reads would be wise. (Let’s just say so for conversation sake.) He/she would be more composed and mannered than a person who doesn’t. He/she will understand that failure doesn’t mean the end of the world. A sequel can be written and life will move on. Success will follow. After all, you are the lead of your life story. There can be so much to talk about, so much to imagine, so much to fantasize about, with a person who reads, (and reads good stuff) over a person who can’t even make decent stories to save his/her life. Well…at times his/her books would gain priority over you. But it’s better than indulging in mindless banter with a person who knows not much. True you will be given all the attention and pampering by a person who doesn’t care much for books, but is that of any value when there is no growth, individually or together. If you crave for intellectual challenges, be prepared to not indulge in any with the person who cares not for the written word. • Simple living. High thinking. Apart from the fact that this is Mahatma Gandhi’s quote, it is quite relevant in life. The person gobbles up words like a hungry reader is sure to find pleasures in simple things in life. A flower, the rainbow, the first drop of rain, a butterfly, a coloring book, colors, stationary, anything that brings in a smile instantly without any effort. He/she would inspire you more than life itself, someday! Life will no longer be bland with a person who reads. Imagine adventures, treasure hunts, fantasy world stories. You might end up having weird (in a nice way) kids with weirder tastes and observation powers. Growing old with that person would be so much easier and fun. It’s true when they say, marry a person who you can talk to, because when you are old, it’s only good conversations that keep you going. He/she would recite Keats, Wordsworth, Shakespeare,Whitman, Wilde with much ease when you wish to hear a few words of love. It’s better to have you partner check out books than check out other people when with you. And who doesn’t make mistakes? We all are human after all. At least you can expect a well-worded apology in case you partner goofs up at some place. All the places that you cannot afford to visit can be imagined and improvised in the company of a partner who utilizes his/her creative abilities to the hilt. He/she will lend you a listening ear. Always. Because, he/she knows how to give someone their undivided concentration. He/she would know when to get serious and when not. He/she would appreciate your passion just like their’s. good book and begin reading. NOW! There are a lot many distractions nowadays for everyone. Work, Internet, Playstation, Xbox, or simply the idiot box. Who has the time or patience to read? Right?? Gather good reading material: There is no dearth if you just look around. With so many books stores, book stalls (those small road-side vendors have to make a living too and more often than not, you are sure to find a book of your liking instantly! ), and yes abundant ebooks. Books are all around us. All we have to do is look. And pick up the ones that interest us. Always carry a book: You never can say where you can get stranded. And a book becomes a boon at such times. Even while traveling for that matter. Make a Reading List: Make a list of all the books you want to read or bestsellers suggested by friends/family. Add to the list when you hear about a good book. And strike out the ones you have read. Get yourself enrolled in a library: Libraries might be almost facing neglect. But each city at least one library that hoards volumes of reading material –some which you wouldn’t have even heard of. If you happen to find a small library close to your house, give it a try. The enrollment fee is never too much considering the deals you get in return. Set aside your reading hour: Create a reading ritual of sorts. Everyday for an hour or so, make sure you read, without interruptions. Preferably a book. Else a magazine or the newspaper. Or if not an hour, break it down into 10-15 minute spans between other activities. You could also encourage your kids to read with you and discuss things out. Sometime company does matter. Joint reading sessions with friends or family members will help you push yourself that extra bit to read ahead. Time Management: We all have busy schedules, no doubt, but we also are efficient time managers. Utilize this skill to set your reading schedule. If you can’t think where to squeeze in a book, reduce TV/Internet time and use it for reading. Problem solved! Reading Space: If it helps, choose a reading corner for yourself. Certain spaces give you more peace and relaxation. It could be corner in your house or your room, or a park bench, or roof, anywhere. If there is no quiet space around you, go ahead –create one! Join a book club: This is one of the most important points, I feel, that helps you get into the grove of reading. Be it an online or an offline book club, join it. Read the book within the timeline set by the members and indulge in discussions. You will be surprised with the results. Indulge in discussions: Even if you are not a part of a book club, indulging in a book discussion is an asset. If you have a partner who you can talk to about the book, the plot, the characters, the ideation, the author and the entire gamut, it would add to your fondness for reading. Tyr doing it over mealtime, you might enjoy your food more. Associated Activities: Attend book launch events and book reading sessions. Interaction with book lovers and authors is known to open up your perspective in different ways. Blog it: If you don’t have anyone to discuss it with, blog about it. Blog it all –your reading list, books you’ve read, write book reviews, or just about anything about books, authors and the like. Oh, and don’t be surprised on being contacted by other book lovers after that. Read, write your own stories: What better way to read books that are of personal interest. Or better still, write short stories (to begin with) about things you notice, or things you personally would like to read. You can never force yourself or someone to read. Over time if a person starts enjoying the habit of reading, it can turn out to be one of the most wondrous of all activities. Also, don’t be over enthusiastic when you first begin. Don’t set high goals for yourself, because if not met you would end up hating the activity forever. Books indeed are the best friends of mankind. They can be most satisfying at times, yes better than chocolate! Reading is undoubtedly one of the most enjoyable of all activities. Reading not only sharpens your thought process, but also increases your attention span. It broadens your vocabulary, your perspectives and your outlook. It boosts your imagination and creative skills. It brings you closer to people with similar taste. But most importantly, it brings you closer to yourself. Reading (books) is one inheritance your children will cherish forever. Read them. Love them. Treasure them. A man is known by the company he keeps. And a book is any day good company. It reveals more about your character. It reflects your tastes, your desires, your perspectives, and a bit of the real you. Books have a deeper impact on your mind and heart. They become a characteristic trait. Research shows that most of the successful people, read. And read books that broaden their perspective and their knowledge and their thought process. They have more information; learn from other people’s experience; and are better at evaluating and making decisions. We all know that reading is to mind what exercise is to body. In today’s age of technological and psychological advancement, our minds do need to open up more. And a book is said to communicate with us on deeper levels than any human being can. It speaks to our mind and to our heart. Directly. A book can make you visit lands that you’ve seen before; peep into the depths of history; learn from the greatest minds; ponder over issues that you never paid heed to before; and bring about thoughts that would address real problems and shape the world around you. The levels of connect could be different, but the purpose is simple. To make you better. You may be a funny man, and reading the works of Allen Smith, Douglas Adams, etc. help you hone your skills and acquire higher levels of humor. Of late, Kartik Iyengar’s Horn Ok Please has been creating waves. And amongst the experienced ones, Abhijit Bhaduri’s works are highly recommended. If you possess “creative imagination” you end up reading more of J.K. Rowling, David Eddings, Neil Gaiman, Roger Zelazny, Terry Pratchett, C.S. Lewis, and our very own Samit Basu etc., and you build your own fantasy world, bringing out improvised characters that have a trait of your personality. If you possess good communication skills; have a knack to sync practicality and emotional thoughts with the ability to lead, works of Yogesh Chabria, Shiv Khera and Deepak Chopra would interest you more and help you develop interpersonal skills to reach your goal as ‘motivational speaker’. Yogesh stresses that wealth without peace of mind, fun, and happiness is useless. He says that without Saraswati, goddess of knowledge, Laxmi, the goddess of wealth, is impossible to get. Deepak Chopra, an Indian public speaker, and writer on Ayurveda, spirituality and mind-body medicine, began his career as an endocrinologist and later shifted his focus to alternative medicine. One of his main messages is that by ridding oneself of negative emotions and developing intuition by listening to signals from the body, health can be improved. Shiv Khera, an Indian motivational speaker, author of self-help books, business consultant, activist and politician, came out with his first book in 1998. You Can Win introduced his trademark quote, “Winners don’t do different things, they do things differently.” The focus of the book was on achieving success through personal growth and positive attitude. There are stacks and piles of books of literary value – from classics to literature to poetry to modern day “metro reads”; from sci-fi to chick-lit to recipe books; the options are aplenty and the choices varied. FromShakespeare to Charles Dickens to William Wordsworth to Chetan Bhagat to Ahmed Faiyaz and the whole new generation of writers who do churn out readable material. So my point is, read what you really like. Your mind retains things that you like and eventually reflects someway in your personality. It makes you a better person. A learned one too. There was a time when people worried about reading too much. And today, too little. In this age where our meals are supersized and books abridged, I wonder where exactly we are headed. Any guesses? 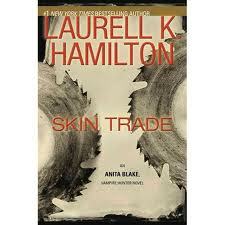 Hamilton delivers paranormal romance thrillers exceedingly well. The book kicks off on a fantastic note and lures you into reading it till the very end without any breaks. The story takes Anita to Vegas in the quest of the vampire serial killer, Vittorio. Edward makes a cameo along with Bernardo and Olaf. But sadly, not much of the sensuous Jean-Claude and Jason to munch on. And there is a new beau in Anita’s life by the end of the novel. Anita is seen doing her Federal Marshal job and investigating a crime scene. There is no “over-the-top” stress on emotional bonds or relationships in this one. It is a fine balance between Anita’s professional front and her personal life. Anita always wants to do the right thing. Her vampiric strength, unexplainable psychic powers, her strength and her strong shield that can control at least five different breeds of were, her power to feed off people’s anger/arousal, her fascination for weapons and fictional laws about vampire crimes are all enthralling. Hamilton delivers optimum substance in this one for sure, injecting fantasy to the otherwise mundane lives of the characters with ample of twists. But there are some discrepancies – what happened to Paula Chu, the first suspect? Also, the new powers given to Anita by Belle Morte are not revealed. All said and done, the central idea of the novel (absolute power corrupts completely) is delivered effortlessly by the author leading her readers to think about the consequences of gaining extreme powers and its aftermath on life. Oh don’t judge me for picking this one. Once in a while a chick lit serves as an escape from the grim realities of the world – like the scorching summer heat! I read this while sipping in some really cold ice tea and before I could realize, I was done with it in about 2 hours!!! 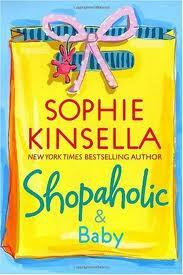 This is Sophie Kinsella’s fifth offering in the popular Shopaholic series. And here we see our beloved shopaholic Becky Bloomwood (now Becky Brandon) pregnant. Becky teams up with her friend Suze and ends up “baby shopping” for everything that she thinks the baby will use, while conveniently relegating the gory realities of impending childbirth to the back of her mind. Becky goes all out buying baby stuff from chic baby boutiques, orders online and from the glossy upscale catalogues, invests in “antiques of the future” for her baby’s portfolio. Becky feels that her obstetrician Dr. Braine needs to be replaced and thus begins her hunt for the “A-List” obstetrician, the choice of all the glam people, and she ends up picking the latest celebrity obstetrician from London, Venetia Carter. But there is a wee bit of twist. It turns out that Venetia and Luke used to be lovers and Venetia still as a soft spot for him. What follows next are panic attacks, hormones going haywire, paranoia and nightmares because Becky feels she would have to raise the child alone as Luke and Venetia will end up living “happily ever after”. She wants a new house with a Shoe Room; she wants to be on the cover of Vogue magazine as one of London’s “Yummiest Mummies-to-be”; so will she get all that she desires? That I’d leave for you to read and find out. Though Becky has grown and matured in certain ways, she still is the same old shopaholic and will be one forever! Btw, we also see Becky reuniting with her long-lost sister Jess. The book is an easy read with a lot of “laugh out loud” and entertaining moments. Her first pregnancy jitters, her decisions, her quirkiness, her mood swings – were all very well presented by the author. Becky is a charmingly air-headed, vivacious, upbeat, resourceful, good-hearted, optimistic, shopping maniac we have come to love, but sometimes she comes across as a shallow, fashion-obsessed, materialistic, irresponsible chic. But I guess it’s her naivety that makes the readers love her all the more. Luke is the rich, loving husband that almost every girl would desire. He tries his best to balance his professional and personal life with the wacky “needs and desires” of his wife. Kinsella (Madeleine Wickham) has a subtle charm in the way she effortlessly pens her story and characters. Not to forget, a good sense of comedy and hoards of romance in her heart.